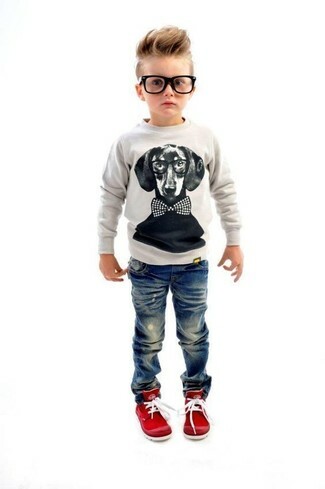 A grey sweater and blue jeans are a great outfit for your little man to go out exploring. 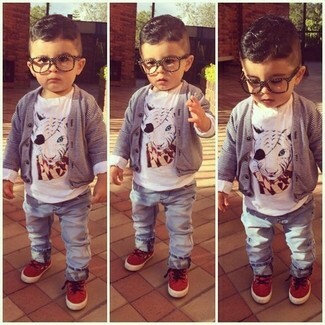 This getup is complemented brilliantly with Nike infant boys roshe one flight weight sneaker. 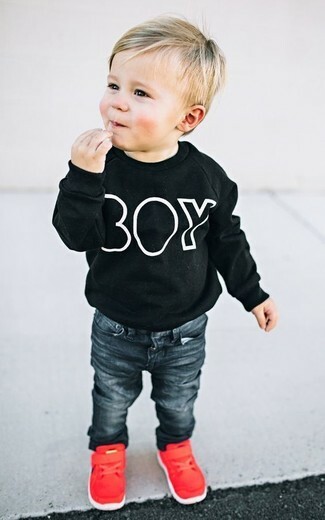 Your little one will look extra cute in a black sweater and black jeans. 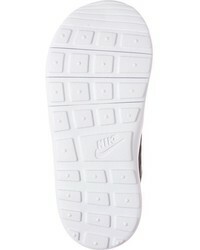 As for footwear your little guy will love Nike infant boys roshe one flight weight sneaker for this ensemble. 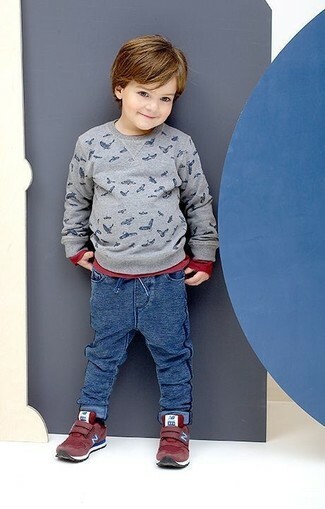 Suggest that your little man go for a grey bomber jacket and navy jeans for a fun day out at the playground. As far as footwear is concerned, suggest that your child opt for a pair of Nike infant boys roshe one flight weight sneaker from Nordstrom. 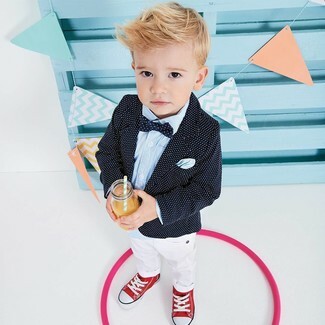 This combo of a black polka dot blazer and white trousers will look extra cute on your munchkin. 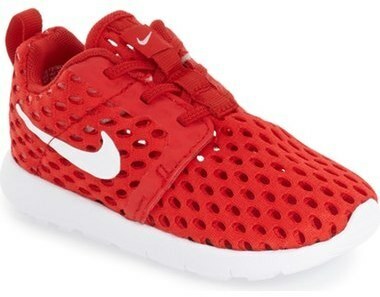 Nike infant boys roshe one flight weight sneaker are a good choice to round off this ensemble. 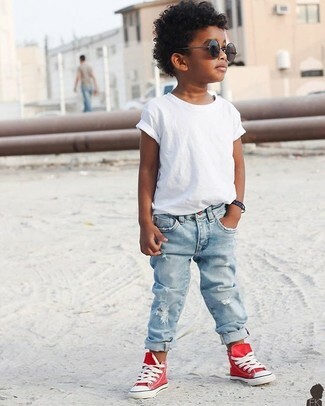 Dress your tot in a white t-shirt and light blue jeans for a laid-back yet fashion-forward outfit. Finish off this outfit with red sneakers. Reach for a grey print sweater and blue sweatpants for your tot for a laid-back yet fashion-forward outfit. This ensemble is complemented really well with red sneakers. Busy days call for a simple yet stylish outfit for your child, such as a grey cardigan and light blue jeans. 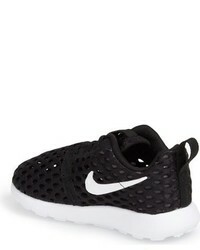 Nike infant boys roshe one flight weight sneaker from Nordstrom are a savvy choice to finish off this ensemble. Choose a black long sleeve t-shirt and charcoal sweatpants for your darling for a comfy outfit. 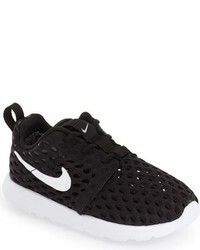 Nike infant boys roshe one flight weight sneaker from Nordstrom are a good choice to round off this ensemble. 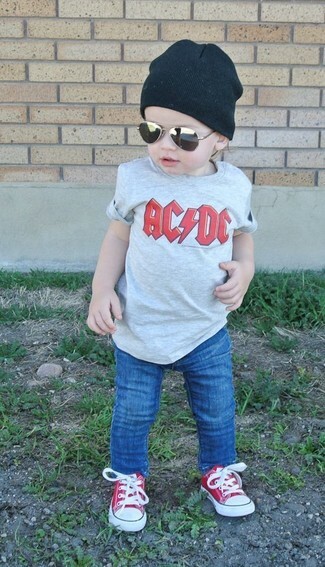 Suggest that your little man reach for a grey t-shirt and blue jeans for a fun day in the park. Red sneakers are a nice choice to complement this ensemble.